In a city where the momentum of success moves at a rapid rate, catching up to it means trading and in some cases forfeiting precious time with our loved ones. Chasing the Dream and keeping pace with Life forces many to redefine the term quality of life and family time spent throughout the year. For many, this festive season provides the only window of the year for a brief escape from their hectic schedules to reconnect with family and their cherished loved ones. Working away from his family, Hins truly understands what the holidays mean by spending precious time with loved ones. With this in mind, he has personally created Junon’s first Christmas Hamper for your family and friends this festive season. Introducing Junon’s Christmas Hamper themed “I’ll be HOME for Christmas” this joyous season available from November onwards! Together with the hamper, a Christmas card and a set of six post cards with visuals of old Hong Kong will be included, the entire amount after subtracting the necessary expenses of the postcards will be donated to the St. James Settlement. What better than to share the gift of giving and the special Junon Christmas hamper with family and friends! 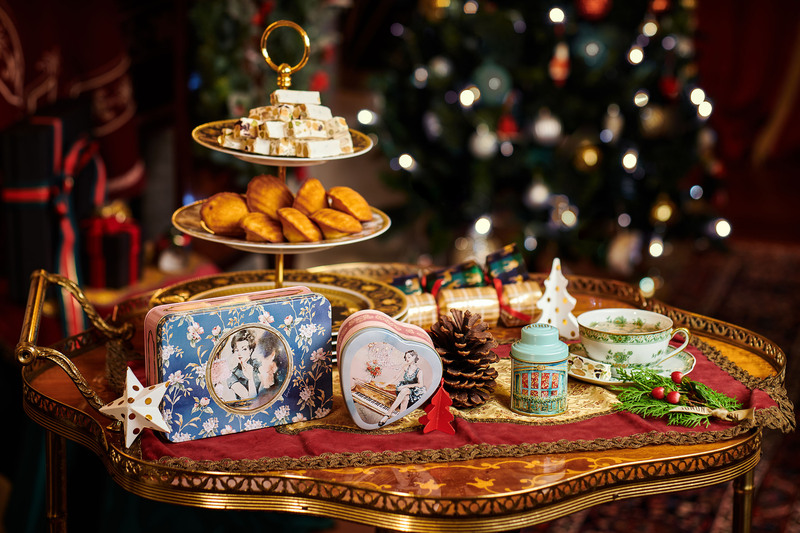 Moreover, Junon has invited renowned local visual artist Wingki Kwok to design visuals using a water painting technique for the goodies tin containers, adding a bit of extravagance and distinctiveness to the gift that is worth collecting. All three gift hampers include Junon branded fine wines and homemade French cakes and sweets among an array of delectable items. 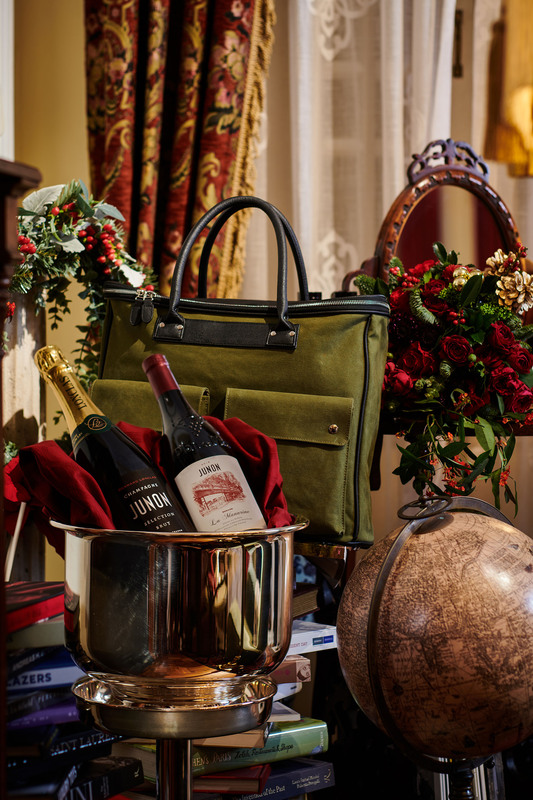 The hamper itself is fashioned in Junon’s signature imperial green, and customers can bring the hamper back to the restaurant and have their initials printed on in gold, turning the hamper into a personal one and only tote bag. 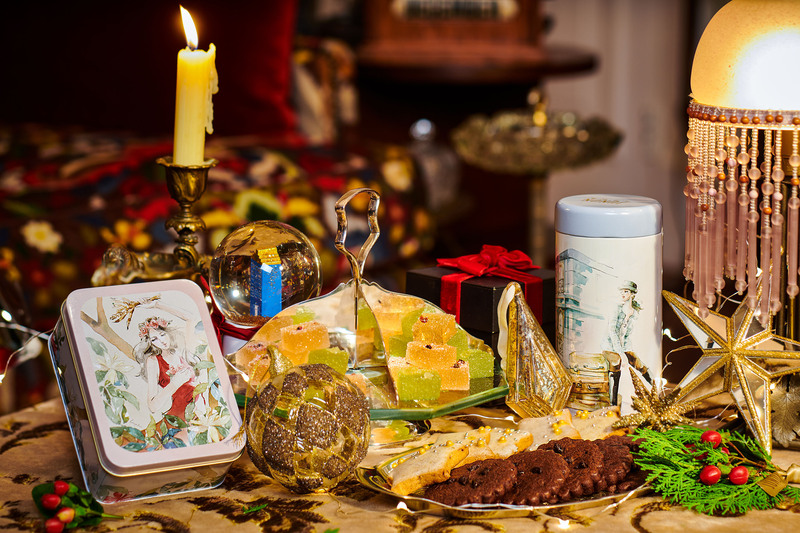 Junon’s “I’ll be HOME for Christmas” Hamper, a true gift of Christmas! Hampers and Christmas & New Year lunch and dinner reservations are available from 12 November 2018. 2. Fill in online form, an email will be sent back with payment links for payment details. Please pay within 3 days. The hampers will be delivered between December 13th to 31st 2018 during weekdays (except25 & 26 December) to your designated delivery address. Or pickup in person at JUNON Restaurant by making reservations in advance. Limited quantities and available while stock lasts. *We are pleased to offer complimentary gold stamping service. Recipients can enjoy this service by returning the message card nestled in the hamper and submit to JUNON Restaurant together with the bag.